This online asynchronous course has been produced by the Center for Industrial Research and Service (CIRAS) and features presentations by Dr. David Grewell of Iowa State University. You will be introduced to the various methods of plastics welding in a way that will help you make decisions about its application in your workplace. This course is particulary targeted to manufactures including engineers, operators, and technicians, and engineering managers. This introduction to the methods of plastics welding provides both technical and practical information to anyone who is interested in its workplace application. The content presented by Dr. Grewell and practical application context provided by CIRAS will give practitioners the tools they need to make the best decisions with their workplace in mind. CIRAS service is available to those who registered from the State of Iowa Only who complete the course as a consultant for the implementation of these techniques. They can share their expertise, provide resources and solutions for this up and coming field including how to incorporate Plastic Welding, best practices, and product recommendations. For those from Out of Iowa, CIRAS will refer you to local Manufacturing Extension Partnership (MEP) Center. Your local MEP can offer similar services and support to you. At the end of this course, you will have a good foundation of the independent parameters, how to identify and set them up in an industry setting for a particular application. You will also be able to adjust these parameters in order to optimize your process to produce the highest quality parts. Outline the process of welding plastics. Compare welding with adhesive and mechanical fasteners. Demonstrate an appreciation of advantages and disadvantages as well as the limitations of various joining methods such as mechanical fasteners and adhesives. Explain the governing principles that define welding plastics; that is, transport phenomena such as heat transport and mass transport (fluid flow) as well as molecular diffusion. Outline the process parameters and how they affect weld quality. Specifically, explain how a machine operates, how to set a machine up, and, potentially, how to troubleshoot a machine based on the part quality and weld quality that you are seeing. Explain particular processes and what the process parameters are and how they affect weld quality. Set up the welding machine and be able to troubleshoot the machine by leaning on process physics. The course begins the date we receive your registration and payment. All course work must be completed within 1 month of that date. Approximate time to complete this course is 4 hours. Once your registration information is received, we will send you your username and password to access the course site. Complete the learning modules at your own pace. For each learning module, you will watch a lecture video and take a short quiz at the end of module. Upon completion of the course, you can receive 0.4 CEU (4 PDH) by ordering your credits from our Web site. Issuing a CEU is $25. Please request your CEUs through the course site. PowerPoint lecture presentations are provided to you in the course. Each of the eight course units includes a 10-question multiple-choice quiz that addresses comprehension of the PowerPoint presentation materials. A minimum score of 80% is required on all quizzes to complete the course requirements. To receive your certificate of completion after successfully passing minimum scores on all quizzes, you will need to request a certificate of completion which includes Continuing Education Unit (CEU). There will be $25.00 fee for issuing a certificate of completion from Iowa State University. CIRAS has delivered services to enhance industry performance since 1963. A network of seasoned university and industry experts, CIRAS provides solutions across the State of Iowa. There are 111 companies in Iowa that manufacture products from plastics or do polymer processing. This corresponds to 8,282 jobs in the State of Iowa. CIRAS’ approach, Engage. Educate. Embed., creates a specific solution that allows each business, along with its community, to prosper and grow. Coupled with a satisfaction guarantee, their typical client has achieved a 200% return on investment. Clients have reported an economic impact of more than $2 billion over the past five years. The majority of companies performs secondary operations, including welding of plastics. A variety of common techniques is used by industry to weld plastics, all of which are extremely complex and have many processing parameters that require optimization in order to manufacture high quality products. These techniques include ultrasonic welding, hot plate welding, vibration welding, hot gas welding, RF welding, and laser welding. 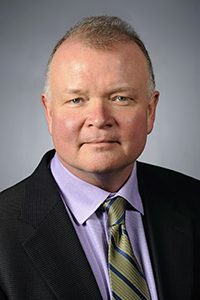 Dr. David Grewell received a BS, MS and Ph.D. in Welding Engineering from The Ohio State University with minors in biomedical engineering and polymer processing in 1989, 2002 and 2005, respectively. He holds 14 patents, has been given numerous honors and awards and has several publications, including two books. His interests include joining of plastics, micro-fabrication, laser processing of materials, bioplastics and biofuels. He currently works at Iowa State University as an Associate Professor in the department of Agricultural and Biosystems Engineering. His research group focuses on using high power ultrasonics to enhance biofuel production as well as on using plant proteins for biorenewable, biodegradable plastics and composites. He is the instructor of courses that focus on manufacturing processes, materials for industrial technology, applied math for technology and a design/technology project study abroad experience in China. Dr. Grewell is the current Director of the Center for Bioplastics and Biocomposites, is the Chair of the Biopolymers & Biocomposites Research Team, a Board Member of the Ultrasonic Industry Association and a member of the Center for Crops Utilization Research, the Plant Science Institute and CIRAS and is a Lab Associate at Ames Laboratories. He also has a position at the University of Erlangen in Germany and has been an invited speaker at numerous international conferences.